No SXSW would be complete without visits to your favourite country showcases and houses and seeing friends. 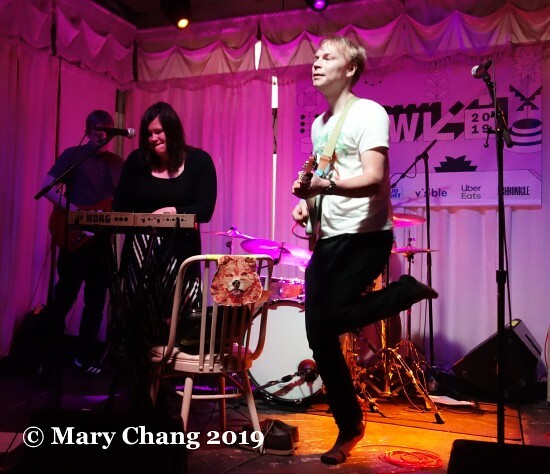 For a second year running, Focus Wales put on a networking mixer on Wednesday night, this time at one of my favourite venues in Austin, Swan Dive, its stage bordered by white fencing like a perfect slice of Americana. There must be a good joke that all good mixers bring in the Irish and the Scots, but it’s also very true. I also wanted to hang around for as long as I could to see Wrexham, North Wales band Seazoo play as the showcase’s opener. In my Bands to Watch on them at the end of last month, I wrote about discovering their self-described “psych indie pop”. But there’s much more to this band than any boxes they or anyone else could put them in. While many bands exist and continue on today on a foundation of long-held friendships, you get the sense from watching the band members of Seazoo that long after their instruments are packed away, they will actually go and get drinks at the pub together. (Indeed, I appear to have been invited to visit them in Wrexham the next time I’m relatively close, in Liverpool for Sound City.) The gangly, bespectacled Ben Trow, who fronts the band, is a more obviously humourous frontman than Jarvis Cocker. I was first confused by what he meant by introducing “the best baby head player”. That is, until I got a closer look at what Llinos Griffiths was playing: a head of a doll with metal switches on its surface that evidently are part of Seazoo’s musical success. The super poppy ‘Shoreline’ started the Focus Wales night with flair, as it was impossible not to get drawn in by the infectious earworm. Check out their debut album ‘Trunks’, you won’t be disappointed. From the slap-happy sunny tunes of Seazoo, I departed for the uphill battle (literally) to Central Presbyterian Church and decidedly more subdued music. 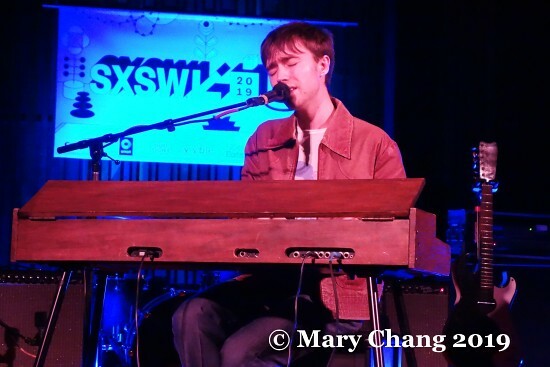 Matt Maltese was a last-minute addition to the SXSW 2019 bill; his announcing of his appearances leading to my many squeals. He is the 21st century heir apparent to the late Leonard Cohen and the ever declining in favour Morrissey. Accompanying his voice with only a piano or guitar, consummate crooner Maltese wowed an appreciative seated audience at the church with tunes from his debut album from last year, ‘Bad Contestant’ (review here), out now on Atlantic Records. Like Morrissey and Neil Hannon of The Divine Comedy, he has a rapier-like wit. He quipped that two of the songs in his set were based on unfortunate love triangles he found himself a party in and that he would recommend others to participate in love triangles of their own. (Guffaw.) Despite forgetting his guitar tuner, he was able to crowdsource a mobile phone with the infinitely well-named GuitarTuna app while also continuing his droll stage banter. I hope he doesn’t mind me comparing his delivery style to Barry Manilow: only so many piano-playing singers have the gift of warmth in their voices, a lustrous quality that makes the pain of heartbreak that much easier to swallow. The languid nature of ‘Less and Less’ is the perfect foil for the chronicling of falling out of love with someone, while the more jaunty, happy chord-filled ‘Guilty’ is the full-scale admittance of his repeated returning to a selfish lover because he just can’t extricate himself from her. 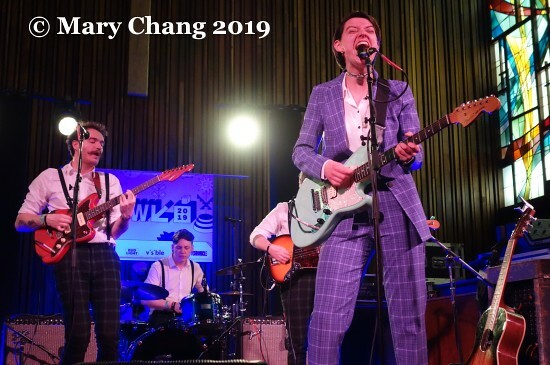 While his was not one of the most energetic sets I saw at SXSW this year, it was a great reminder that there is something for everyone at this festival, including the brooding introvert within me that just wants to revisit the strong feelings of love and heartbreak through osmosis. The next act seemed to have made it their mission to bring brightness back into the church. Before coming out to Austin, I saw that Naomi Hamilton, aka Jealous of the Birds, had chosen to wear a fun purple tartan suit for their set on the Output Belfast boat party on Tuesday. She graced the church in the same outfit, while her bandmates were dressed less ostentatiously but still on theme in black watch tartan trousers. Gotta love a coordinated band! ‘Tonight I Feel Like Kafka’, which I previously saw Hamilton perform solo supporting The Divine Comedy in Birmingham in November 2017, had many more wonderful layers presented by her and her band. Cracking jokes about having not yet burst into flames while in a house of worship is just one indicator that this is not the same Hamilton TGTF has covered in previous years. Her sound has evolved from ‘breaking’ into the indie world with ‘Goji Berry Sunset’ on BBC 6 Music 3 years ago that I saw performed live at Dublin Tengu at Hard Working Class Heroes in 2016. On most recent EP ‘Wisdom Teeth’, the dissonant guitar licks of ‘Blue Eyes’ throw you off for a moment before you surrender to its wild nature. Even better, Hamilton has described as a celebration of “femininity and strong women feeling empowered”. If you haven’t seen the music video for it, you simply must. Following my time at Central Presbyterian, just like in the afternoon, I faced another daunting queue at the British Music Embassy for the BBC Introducing / PRS Foundation showcase. Onstage at the time was Grace Carter, a pop singer/songwriter from Brighton whose had a recent meteoric rise thanks to the attention of artists like Dua Lipa and Lana Del Rey. One of her most arresting singles, ‘Why Her Not Me’, documents the heart-wrenching realisation Carter came to when she learned from her single mother than her biological father wasn’t in her life because he chose to stay with the other family he had. While this isn’t the kind of music I’d normally choose to listen to, I can respect her ability to open up her personal life in her music. 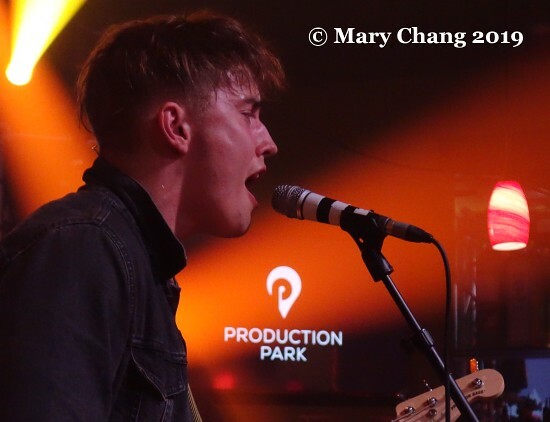 Sam Fender returned to Austin and oddly enough, the same exact showcase at the British Music Embassy as SXSW 2018 and at the same time slot. The Geordie had a spectacular year in the meantime, his lyrics espousing social consciousness and the plight of young people today hitting a nerve and making him a critical darling and a must-see at festivals, including the inaugural edition of This is Tomorrow. There was a bittersweet poignancy as he and his band performed ‘Dead Boys’ on the brightly lit Latitude 30 stage, as if the song being performed was to honour those young men we’ve lost through suicide but also shame the society who failed them. 2019 single ‘Hypersonic Missiles’, in contrast, shows his knack for writing a melodious rock song, as well as his impressive vocal range. Having woken up at 4 AM, I called it an early night (and before midnight, shocker!) to be ready for what Thursday would bring.